Sea Scouts — Seafarers Foundation, Inc. The Seafarers family is organizing a new Sea Scout Ship in Annapolis and invites you to join us! Sea Scouts was founded in England in 1910 as an extension of Scouting. It was adopted by Boy Scouts of America in 1912, making it one of the oldest types of units in scouting. Sea Scouts is for boys and girls aged 13-21, and promotes seamanship, citizenship, personal fitness, leadership, and community service. We promote a lifelong love of the sea, as both a career and for recreation. For more information about youth applications, volunteering as an adult advisor, or exploring partnerships, please contact Dr. Derrick L. Cogburn, Skipper of our new Sea Scout Ship. To download our new Seafarers Sea Scouts brochure, please click here (PDF file). For a free Sea Scout manual, please see here: https://seascout.org/manual-resource-center/. 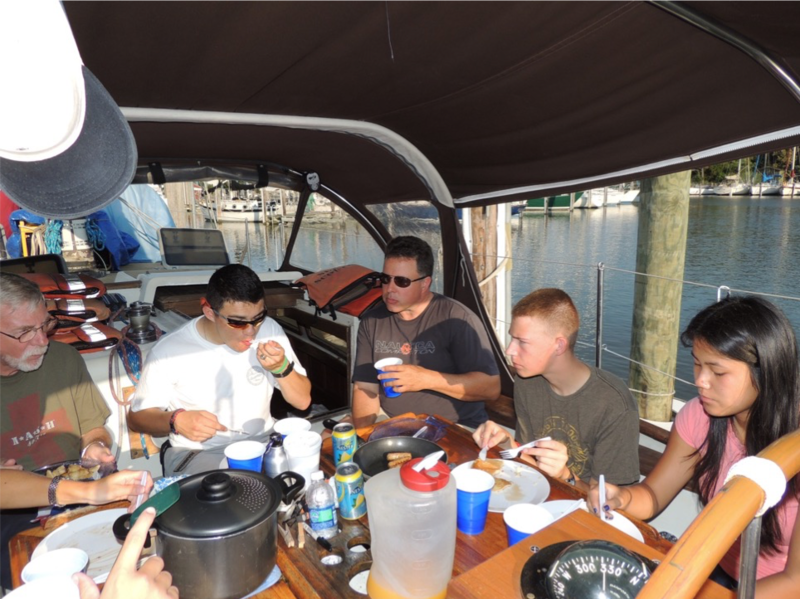 Our Sea Scout Ship is organized to promote seamanship, citizenship, personal fitness, leadership and community service in Annapolis, Maryland and surrounding communities. Sea Scouts are expected to plan at least one "long cruise" each year, and need to plan for provisioning and meal preparation. © 2018 Seafarers foundation, inc.